Agnes Huston (Jean Kent), a British widow, has been murdered in her home. Before she was killed, Agnes worked at the local fairground as a fortune-teller, under the name of “Astra.” Agnes didn’t fit the stereotype of a widow or fortune teller. She was a young, pretty, lively woman. Agnes’ body is found by the young son of her neighbor, Mrs. Finch (Hermione Baddeley). Superintendent Lodge (Duncan Macrae) and Inspector Butler (Joe Linnane) are working the case, trying to figure out who killed Agnes, and why the killer wanted her dead. They begin by questioning five people who knew her: Mrs. Finch, Agnes’ sister Catherine Taylor (Susan Shaw), Catherine’s beau Bob Baker (Dirk Bogarde), petshop owner Mr. Pollard (Charles Victor), and naval officer Michael Murray (John McCallum). 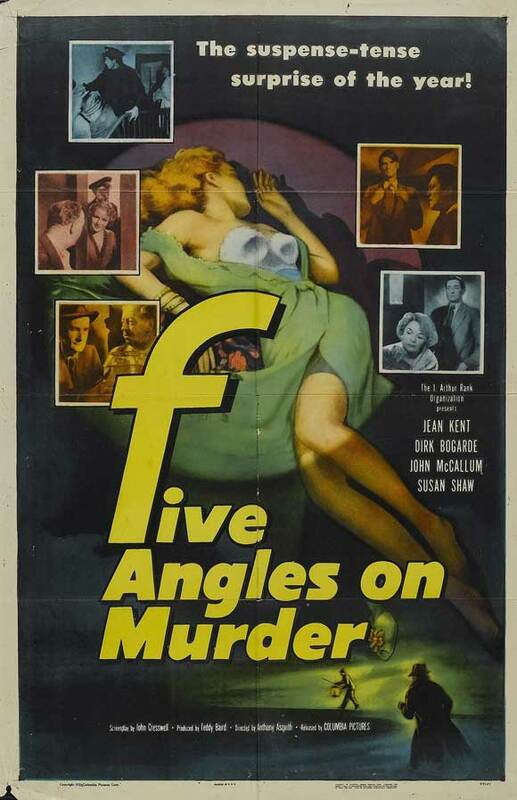 These five interviewees each paint a very different picture of Agnes in The Woman in Question, also released under the title Five Angles on Murder. The film was directed by Anthony Asquith. However, the “Rashomon effect” angle taken on the story is very effective. For those who may be unfamiliar with the term, “Rashomon effect” refers to contradictory interpretations of the same event by different people. The Woman in Question has not been the only film to make use of it. In fact, the term itself is derived from a Kurosawa film, Rashomon. I haven’t seen Rashomon; I’m sure it’s superior in quality to this little flick. They were released in the same year. But, for a little British mystery, The Woman in Question makes the most of the effect. Each of the investigative interviews leads into a flashback in which we see Agnes as each of the five suspects see her. The portrayals are wildly different, and together, they don’t exactly paint a flattering picture of Agnes. Jean Kent gives a very good performance as Agnes. Her appearance changes slightly in each interview — disheveled hair and smeared make-up during Catherine’s flashback, for example — but the beauty and wardrobe departments aren’t solely responsible for the success of the portrayal of Agnes. Kent herself injects a unique (and convincing) personality into each version of the character, leaving the viewer to question which one is the authentic Agnes. To Mrs. Finch, she’s glamorous and friendly; to Catherine, she is combative; to Bob, when they first meet, she has all of the self-assured allure of Mae West. 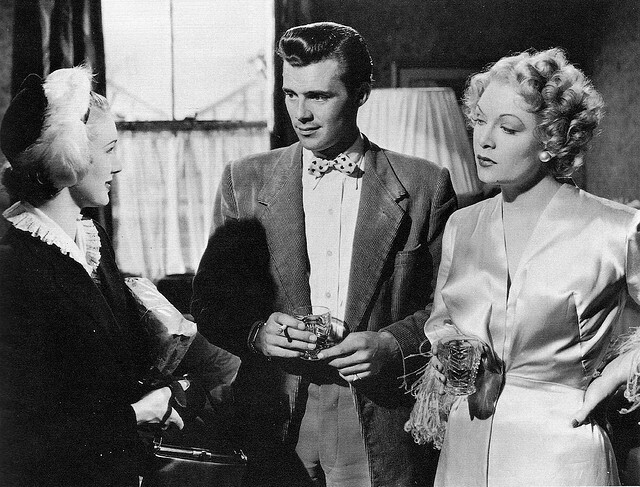 The supporting players are good, but none as captivating as Kent is in the role of the murdered woman. Duncan Macrae and Joe Linnane as the detectives fade almost completely into the background of the film, serving as a framing device for the flashbacks, but attracting no attention to themselves otherwise. This is fine by me, as there are plenty of other (more important) characters to fill the film’s run time. Kent’s performance really makes the film! Great piece on a movie that I too rate pretty highly — many thanks for a fine read. Thanks for the intro to a film I need to see!